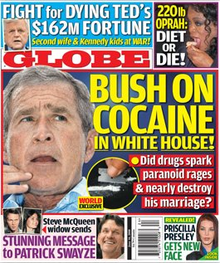 I've always believed that the worst national U.S. tabloids are Star, the National Enquirer, and Globe (the very worst used to be Weekly World News, before it folded in 2007 because, as Wikipedia says, it was "largely fictional". It was brought back as a website-only tabloid). There are some popular online tabloids such as TMZ, glossy magazine tabloids such as People or OK!, local tabloids such as The NY Daily News, or UK tabloids such as The Sun and Daily Mail. There are tabloid TV shows such as Inside Edition and Entertainment Tonight. One might even argue that the entire E! Network is a tabloid (and much of Bravo). I'm just going to focus on the current U.S. newspaper tabloids. Over the years, the National Enquirer had some real stories that sounded sensational but turned out to be true, such as Gary Hart's affairs and Bob Dole's drug use. The bulk of their stories, however, focus on dubious rumors and scandals. STAR is very similar to the Enquirer; it was founded by mogul Rupert Murdoch to rival the Enquirer, but now it's owned by the same company, American Media. STAR focuses more on celebrities than National Enquirer. Globe is also owned by American Media. They also owned the tabloids SUN and Weekly World News. 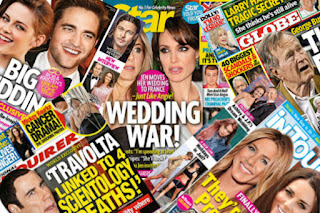 STAR has the most circulation of all of the tabloids, followed by the Enquirer. They now also own the glossy tabloid US Weekly and the small glossy magazine Soap Opera Digest (which I've subscribed to since the 1980's), along with many lifestyle and fitness magazines. According to Wikipedia, "Tabloid journalism is a style of journalism that emphasizes sensational crime stories, gossip columns about celebrities and sports stars, junk food news and astrology." 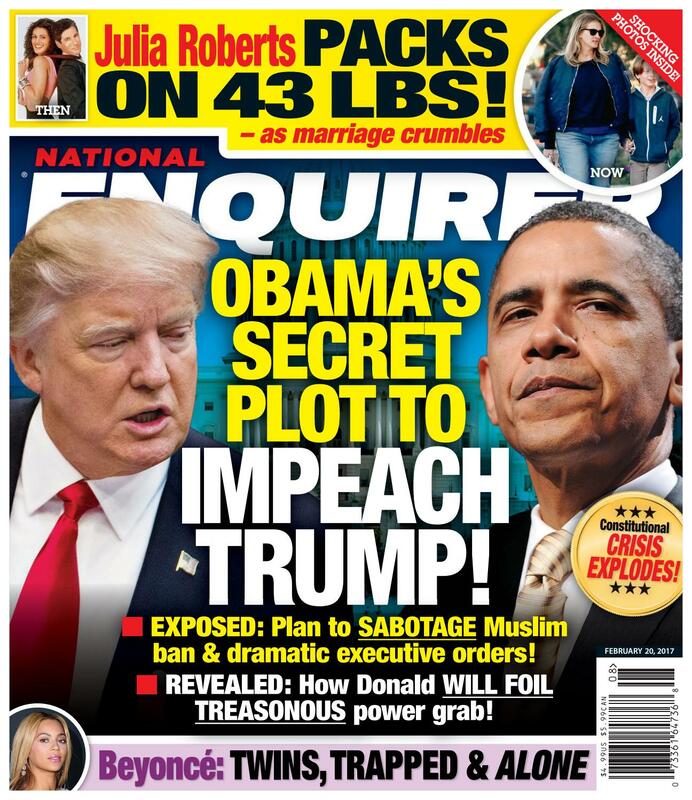 The National Enquirer is the oldest one, having been founded in 1926. Unlike the mainstream press, they pay sources for tips. It's still a newspaper tabloid, not a glossy publication, which has hurt its circulation. Glossy magazines like People and OK! are more popular (Perhaps this is why STAR Magazine went glossy in the early part of this century). The Enquirer started out as a right-wing newspaper in New York, but it became a sensationalist tabloid in the 1950's. It went national in 1957 and focused on national celebrities and gory scandals, increasing the circulation. They started selling it in supermarkets in the 1960's, dropping the gory stories and broadening the appeal to focus more on celebrities, the occult and UFOs. David J. Pecker, Chairman and CEO of American Media, is a good friend of Donald Trump. The Enquirer is very favorable to Trump, and the Enquirer readers are fans of Trump. The tabloid is not too kind to people viewed as Trump's enemies. All of the tabloids have been sued quite a few times for their stories. 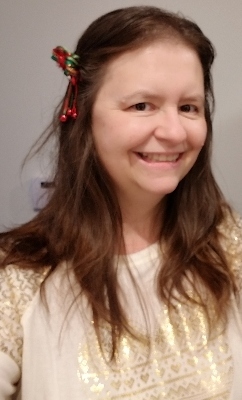 As I learned last semester in my class, Introduction to Mass Media, in the book "Media Impact: An Introduction to Mass Media" by Shirley Biagi (Chapter 14), libel lawsuits are very difficult to win. The tabloids spend a lot of money on fighting them. Even if the celebrity wins, they rarely get much money from it because the appeals courts bring down their settlements later on. All of these tabloids spread a lot of gossip and rumors about celebrities. In short, they make up a lot of stories. Even so, ever since Carol Burnett won her libel suit against the National Enquirer in the 1980's, American Media has lawyers working in their offices that look over every story before it's published (which is not the case with regular newspapers and magazines). They find ways to get around the libel laws. Personally, I'm too busy to read about celebrities, in general, but I especially detest tabloids because they're generally not true. I don't know why I would bother to read something that's probably fake. To me, it's just a waste of time. It's trash. I think a lot of people believe that they're trash, but some people enjoy reading it, nonetheless. I would rather watch or read a good piece of fiction that's well-written and has good acting, than waste my time on either tabloids or reality shows. I like a lot of celebrities, but I want to see their work, not read about their personal lives. 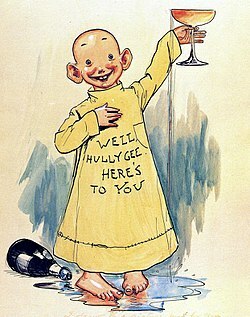 Tabloid journalism is also called "yellow journalism" (after the old comic strip "The Yellow Kid" that was published in tabloid newspapers in the 1800's). Globe always seems (to me) to be the meanest of the tabloids when it discusses celebrities. They focus on who's ill, or outing who might be gay. They also use the most unflattering photos they can find. This very long article tells what it's like to write for Globe. It sounds like they all just try to find some way to write about celebrities, to keep their jobs. They dig up a lot of dirt on the celebrities in whatever way they can. According to a former reporter for The National Enquirer, each of the American Media tabloids has its own audience. STAR is aimed at young women in their 20's. The Enquirer's audience is made up of older people with money who like politics. The National Examiner (another of their tabloids) and Globe "are geared to middle-aged conservative women." The Examiner's cover looks much like the other tabloids, with mostly photos, and sensational headlines. 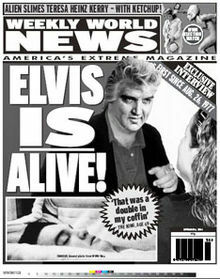 It's for older people, so a lot of the stories focus on long-dead celebrities and scandals, like Elvis, Marilyn and JFK. Unlike the other tabloids, it has no website. It's also the least expensive and smallest of all of the tabloids. These facts tell me that its audience is probably poor and lower-middle-class older people. The tabloids do make up some stories, but the rest they get from other publications. They spend a lot of time reading other newspapers, magazines and websites to get information. They pursue celebrity stories doggedly, just as the Washington Post or New York Times do their more important stories. After they're written, and examined by lawyers, they're edited and re-examined several times before publication. A lot of work goes into this successful business. Although magazines and newspapers don't sell the way they used to, American Media's tabloids and men's health magazine still sell well (probably due to their supermarket placement) with over 2 million readers, and over 350 million monthly pageviews on their websites. The public loves to read sensational stories about the rich and famous. Much like reality shows, they offer an exaggerated glimpse of exciting lives not their own. They get to see drama, and secrets, without a lot of effort. People always love gossip, drama and scandal, which makes sense, when you think about the fact that all stories (whether we're talking about books, plays, movies, TV et al.) are centered around a conflict of some sort. Fiction is one thing. We're taught that lying and exaggerating are sins when we're small children; mass media classes teach us about ethics in journalism. Yet the tabloids get away with making up and sensationalizing stories. This Op-ed piece in the New York Times thinks that the tabloids serve some usefulness. In short, "They exist to break down the barriers of access that keep social elites at a remove from ordinary people." Psychologists have studied the tabloids and theorized that people enjoy them for these reasons. 1) Survival Instincts (we're fascinated by horror because we want to make sure that we're safe from them); 2) Respect to Hierarchy (We're obsessed with celebrities because we want to be more like them and move up the social ladder); 3) Shattering our Ideals (we have a rosy view of the world, so we're drawn to shocking news that grabs our attention; or 4) A Threat to Democracy (horrifying news stories may challenge our sense of democracy). They may be over-thinking this. I think that it's just the drama that entertains the readers. It's what makes shows like "Law & Order: Special Victims Unit" and "Criminal Minds" attractive to some viewers. Why do we like sordid or lurid stories? Probably because we all have violent and aggressive thoughts, but we don't act on them. We watch or read stories like this instead of acting on them. Tabloids do their best to fill that need, and they rake in the money for their stories.